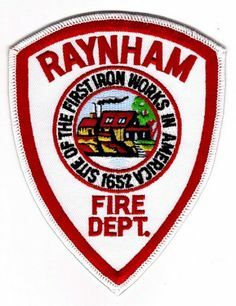 WHITMAN — Chief Timothy J. Grenno reports that the Whitman Fire Department extinguished a kitchen fire at a multi-family home Thursday afternoon. At approximately 1:40 p.m., the Whitman Fire Department received a call reporting a fire at 81 School St. Upon arrival, firefighters were directed to the first floor apartment where a heavy fire was quickly spreading through the kitchen. Members of Group 4 aggressively worked to knock down the flames and were successful preventing the fire from spreading to the rest of the building. It took about 15 minutes for the flames to be fully extinguished. No injuries were reported and four residents of the building will be temporarily displaced due to fire, smoke and water damage to the home. Whitman Fire was assisted on scene by the Hanson and East Bridgewater fire departments, while the Abington Fire Department provided station coverage and responded to an unrelated medical call in Whitman. The initial investigation indicates that the fire was caused by grease in a cooking pan. The resident attempted to put the fire out with flour, but was unsuccessful. RAYNHAM — With National Poison Prevention Week ongoing, Chief James Januse wishes to remind Raynham residents of the dangers of unintentional poisonings for people of all ages. According to the Health Resources and Services Administration (HRSA) and the American Association of Poison Control Centers (AAPCC), poison centers across the nation receive more than 2 million calls about potential poisonings every year. Young people are at a higher risk of unintentional poisoning, especially children under age six. Over 90 percent of poison exposures occur in the home. The top five causes of poisoning are painkillers, household cleaning products, sedatives, hypnotics and antipsychotics medicine, cosmetics and personal care products and foreign objects. Teach your family to never touch nor consume something if they don’t know what it is. Store common harmful substances out of sight and out of reach of children. These substances may include over-the-counter and pharmaceutical medications, tobacco products, alcohol, cleaning supplies and other disinfectant chemicals, insect repellent and oils. Keep all substances in their original, labeled containers. Never mix chemical substances as they can create dangerous gases when mixed. Always follow the label directions on over-the-counter and pharmaceutical medications. Never share prescription medication. Safely dispose of prescription medications that are no longer needed. Immediately call 1-800-222-1222 to reach your local poison center. Follow the first-aid advice you receive from the poison center. Remain calm. Not all medicines or chemical and household substances are poisonous. Poisonings can often be treated. Get fresh air if the poison was inhaled. Take off clothing and rinse skin for 15 to 20 minutes if poison is on the skin. Rinse eyes for 15 to 20 minutes if poison is in the eyes. Always call 911 if the person is unconscious or not breathing. National Poison Prevention Week was established by Congress in 1961. It takes place during the third week of March each year and raises awareness to reduce unintentional poisonings and encourage poison prevention through community involvement. For more information on poison prevention, visit the HRSA website or the AAPCC website, or contact the Raynham Fire Department 508-824-2713. ATTLEBORO — With National Poison Prevention Week ongoing, Chief Scott Lachance wishes to remind Attleboro residents of the dangers of unintentional poisonings for people of all ages. For more information on poison prevention, visit the HRSA website or the AAPCC website, or contact the Attleboro Fire Department 508-222-2110. WHITMAN — Chief Timothy Grenno is pleased to announce that Firefighter Nicholas Grasso graduated from the Fire Officer I course at the Barnstable County Fire Rescue Training Academy last week. The six-day 40-hour training course covered various topics including, effectively managing emergency scene operations, supervising personnel and communicating with the public. The course ended on March 14 with Grasso receiving his Fire Officer I certificate. “Nick has always been a hard worker and it’s great to see him taking steps to further his career and his knowledge of the fire service industry,” Chief Grenno said. Grasso, of Hanson, was appointed to be a full-time firefighter with the Whitman Fire Department in September of 2004. 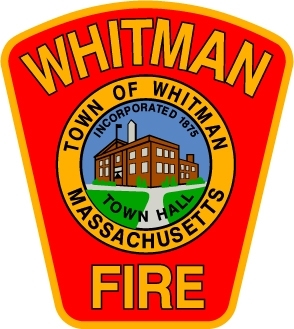 He is currently assigned to Group 1 and previously served as the Fire Alarm Superintendent for several years prior to the town removing all fire boxes on telephone poles in Whitman. Grasso is also a paramedic and holds multiple certifications on various fire service topics.